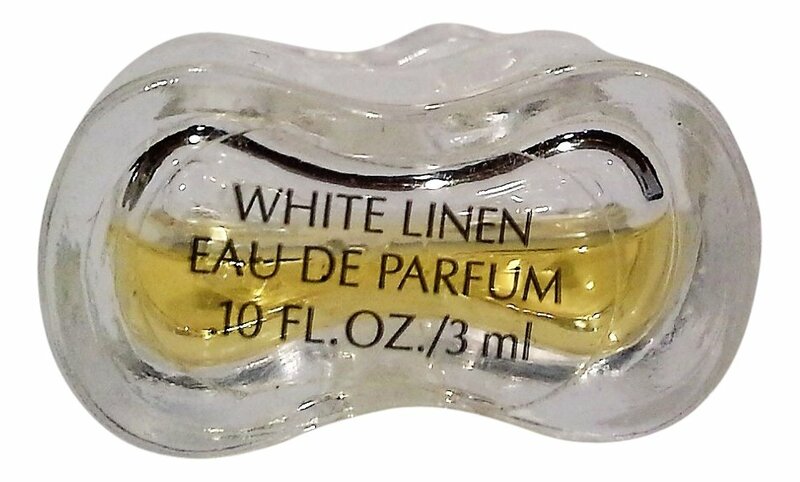 White Linen (Eau de Parfum) is a popular perfume by Estēe Lauder for women and was released in 1978. The scent is floral-fresh. The longevity is above-average. It is still in production. White Linen was launched together with Celadon and Pavilion in a collection called New Romantics. The three fragranced were marketed as being able to deliberaty combine with each other. Insofar, Estée Lauder can be regardes as a pioneer of the layering concept. If I had written this rewiew only a few years ago, I 'd said that this perfume isn't my cup of tea. I've just smelled at the drugstore this fragrance and I found it delicious, clean and very classy. The name is right because what I imagined are perfumed and clean linen lying on the sun . The opening flowery bouquet made of Jasmine, rose and lily of the valley is soft and only suggested, but very pleasant and feminine. Very noticeable is the orris root heart note, while the moss and the green touch of the vetyver at the base are only a background. it's a very ethereal composition perfect by day and wearable as a White shirt, mainly in the hot season or at the office, when you have to smell good without leaving a too strong trace of perfume. The sillage is light, but the longevity good. So, if once i didn't like it at all, now I adore it , with its flowery- fresh-powdery acchord so fresh, clean and soft. The price is quite high, but it's a classic and (in my opinion) a must have in your perfume wardrobe. A new love is born! Chanel Nº 5 has many ilustrious heirs, mainly, across the ocean. Among those, White Linen helds a honored place. The rose-lily-violet combo makes it very old-style, but the crisp aldehydes gives it a modern twist. One of the best perfumes of the last 40 years. One of the best rose-violet fragances in the market. I only could wish that the sillage and lasting power were a bit stronger, and that the perfume version was still available. Every now and then I get in an "old lady" floral aldehyde mood. It happened today while cleaning up a room which had succumbed to the forces of entropy over the last couple of years. As usual, when I finally decided to roll up my sleeves and engage in arrant domesticity, I was rewarded by the discovery of lost perfumes. Today's discovery was a mini of Chanel no 5 eau de parfum and Chanel Allure Homme "All over Refreshing Tonic". I donned the former and will be testing the latter in the not-too-distant future, as a part of my "Give Men's Fragrances a Chance" campaign, inspired by bloggers Bryan Ross at From Pyrgos and Christos at Memory of Scent. So, the day began in Chanel no 5 edp, which had the usual effect upon me, not of the olfactory ecstasy apparently experienced by so many in an encounter with this juice, but of causing me to reflect upon why we value what we value in the realm of perfume. Floral aldehydes are smelling more and more dated to me as I test more and more sweet patchouli and fine niche perfumes. On some days, they simply smell wrong, and nearly every day when I've ever tried to find the magic in Chanel no 5 has been one of those days. Today was no exception to the rule. At one point, I even felt like taking a bath. I cannot imagine that this perfume will continue to survive if the current trends of sweet laundry scents and fruity patchoulis persist much longer. To a person weaned on those sorts of compositions, Chanel no 5 smells worse than dated, it smells pre-historic! With Chanel no 5 already lingering in my nostrils, I decided to take up my Estée Lauder WHITE LINEN extrait once again. I did experience the ecstatic floral aldehyde moment wearing this perfume a while back. 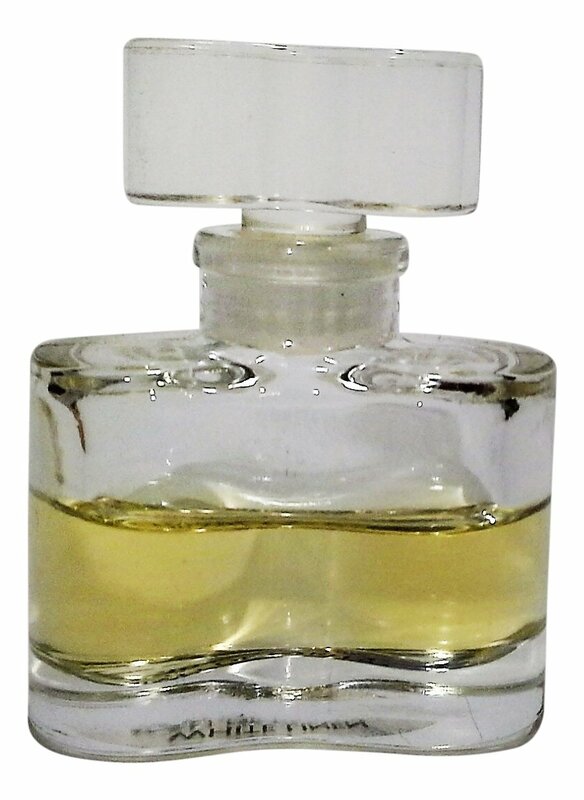 Then, in my infatuated state, I purchased a big bottle of the eau de parfum, which turns out to have quite a bit more oakmoss--or at least so it seems to my nose--and this muddies the clean bright white waters of the composition, making it far less appealing to me. When I tried the extrait once again, I discovered that I do very much prefer this perfume to Chanel no 5, but oddly enough it has always smelled to me more like white Dial antibacterial soap than anything else. Clean, clean, clean, incandescent light. WHITE LINEN parfum is to me what could perhaps be most aptly described as the ultimate abstract aldehyde! I enjoy White Linen for the fact that it is cheapness done well. Conceptually so downmarket (soap) yet executed so brashly (1 part aldehyde, 1 part laundry detergent musk, one part whatever your notion of a bar of “floral” soap is.) This is the olfactory equivalent of holding a large tuning fork to your skull, but for hours. I can imagine for many women this might just seem simple, oldish in style and unsubtle, but on a man, it’s a great alternative (sparkly) to so many current men’s fragrances (fresh.) The camp of wearing a squeaky clean girly fragrance is added enticement. But I have one particular use for White Linen. I’m an RN and work in a hospital. Search the blogs and you’ll find plenty of discussions about inflicting fragrance on those around you, the hospital being the ultimate battleground for this argument. I have a few scents that I wear to work, each with a different strategy as to why it works. White Linen is easily my favorite, since it’s akin to being in drag in scrubs. On a man I think this simply reads as so-clean-you-still-have-soap-on-you clean. The only comments I’ve gotten from my patient are, literally, “You smell so clean!” I imagine if were a woman wearing this she might be accused of wearing too much or too strong a fragrance. It’s fun screwing with gender assumptions in general. With perfume, it’s a delight. If you've ever wanted to know what sharp aldehydes smell like, give White Linen a try. This fragrance is an aldehyde overload, so much to the point that it smells like a white, sparkling bathroom. There's huge doses of powder, soap, laundry and flowers in White Linen. The clean qualities are so bold that it's sometimes difficult to point out any individual notes. While I do love aldehydes, I prefer them in smaller doses. White Linen is a scent I like my sheets to smell of, but perhaps not my own skin. This fragrance is also typical of those 80's fragrances, being a monster in terms of sillage and reliable in terms of longevity. I'm only 20, so strong perfumes such as this one make me feel too old before my time. Not saying that this is a so-called 'old lady scent', but it does have more mature connotations. Along with that thought, personally I find this fragrance far too chemical, powdery and sharp for my liking.